I am loving the hell out of roasted vegetables. Not loving how hot my kitchen is getting this time of year in blistering hot Arizona, but loving the veggies. In the photo above you'll see the cauliflower I roasted last night, which I sliced into "steaks" and roasted with whole cloves of garlic. I've been doing carrots, peppers, butternut squash, sweet potatoes, broccoli, and more. 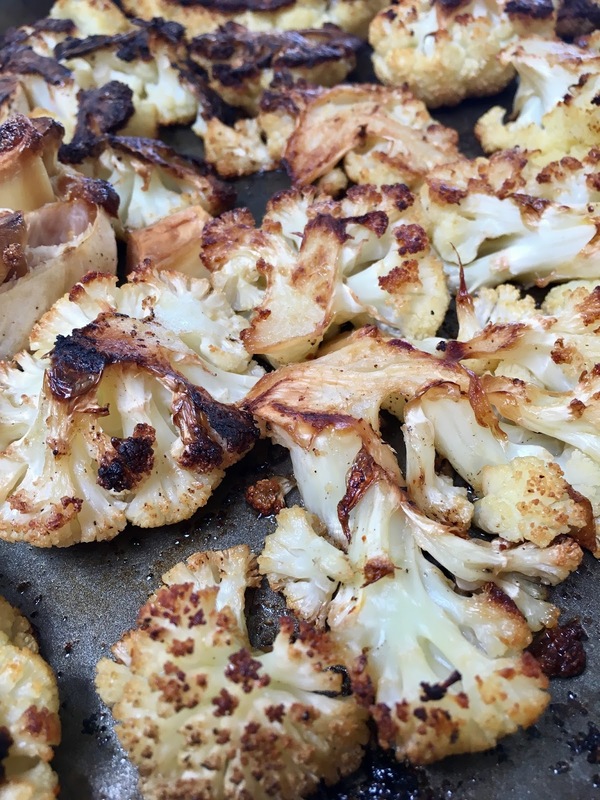 Here are some roasted vegetable recipes I like. Some I've tried, some are on my to-do list. This is one of the easiest ways to prepare vegetables. Toss in oil, season, throw on a sheet pan. Bliss in less than an hour.